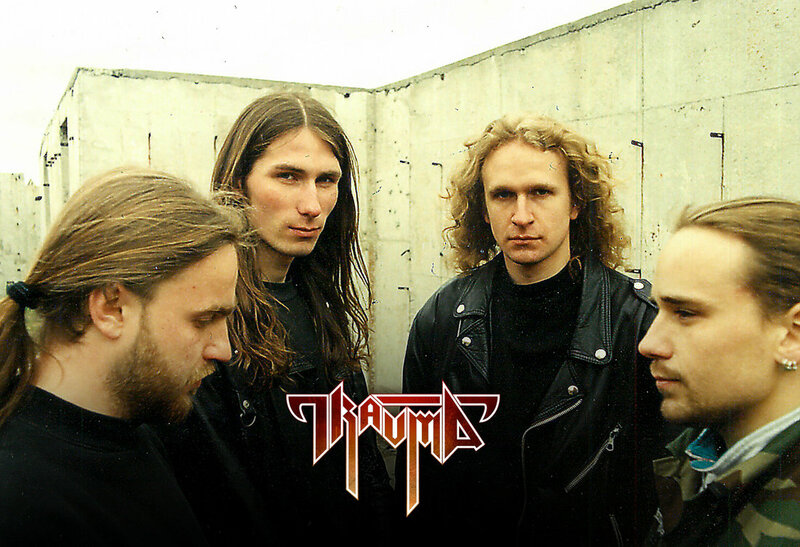 TRAUMA – „Comedy Is Over” re-release through Deformeathing Production. TRAUMA’s debut “Comedy Is Over” will be re-relased on 22nd of September 2017 by Deformeathing Production. The original tapes, recorded at S.L. Studio, have been carefully remastered by Piotr Gruenpeter from Satanic Audio, brand new layout has been created by Archart Studio. We also put a bonus track to the release! The „Comedy Is Over” is undoubtedly a milestone for Polish Death Metal scene. Released in 1996, it was way ahead of its time by its musical visionary, compositional bravery and, despite a debut, maturity in arrangements as well as uncommon lyrics. The album received plenty of good words, being reviewed by the biggest magazines worldwide. But the issue was that it couldn’t be bought anywhere for more than 15 years… until now. „Listening to these songs after all these years I felt like I was watching a family album and I have to admit it brought a tear to eye. I saw how the time had changed us, how it had brought the experience and had been giving us the freedom in creating our own musical space. Suddenly all the memories were back, I could feel the climate, the emotions that had been driving us, and all the musical inspirations that had defined TRAUMA. It’s all engraved on the „Comedy Is Over” music and has a very sentimental value for me. It tastes like wine after 20 years – it has a clear aroma, temper and strength. In my personal opinion, the album still sounds very honest and up-to-date.